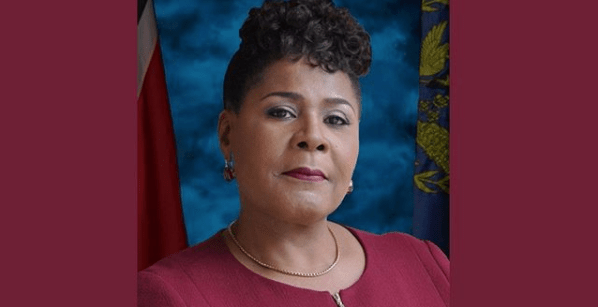 Retired judge Paula Mae Weekes was sworn in as Trinidad’s first female president on March 19. Weekes is well trained with the law, with over 10 years of experience in both private and public spheres, such as the Criminal Division of Trinidad’s High Court and the Court of Appeal. In her inauguration speech, she urged the audience to “find ways to make a positive difference in whatever your sphere of influence,” and “find new and creative ways to inspire your audience while reporting responsibly and commenting civilly on the facts.” These wishes are essential, and they are words of wisdom to both people and other leaders. This is a high accomplishment for any country, not based solely on the fact that the incumbent is a woman, but because it defies the gender stereotypes that dominate the modern social world. This election proves that, though there are many hurdles, they can be overcome. For example, some say women are too emotional to take on such great responsibilities; they think women will make decisions based on emotional impact. Others say women leaders are conniving and bossy. However, some of the worst executive orders have come from men in power, such as George W. Bush’s decision to invade Iraq in 2003, a decision made in response to 9/11. There was fear that Saddam Hussein was holding nuclear weapons. He was not. The result was a death count of an estimated half-million Iraqi people. People cannot be judged by their gender; they must be judged on the basis of individual character and ethics. Throughout the 2016 election, sexism and misogyny ran rampant. For instance, Donald Trump said of Hillary Clinton during one of his campaign speeches, “Look at that face. Why would anyone vote for that?” Yet, when we discuss sexism in a classroom setting, we think of countries in the Middle East oppressing women. However, Middle Eastern countries such as Saudi Arabia have actually been making strides in empowering women; for example, in Sept. of 2017, Saudi Arabian women were granted the ability to drive. You do not have to step far outside your house to see that sexism exists right here. We should be able to combat sexism just like other countries. It’s time for America to stop thinking it the greatest country on Earth and that every other country should follow in its footsteps. That mentality in itself stops change from happening. These words exemplify a leader who operates with grace, tact, and a strong head on her shoulders. I am proud of Trinidad for being so open and accepting of female empowerment, because that is what it takes to make a difference. I have high hopes that Weekes will have a positive impact on Trinidad as well as the international community. She is the embodiment of what hard work, dedication and genuine care leads to, and what every world leader should strive to embody. There are women like Weekes all around the world; we just have to put aside false judgements and give them the chance they deserve.